The following vacancy exists at NSFAS. 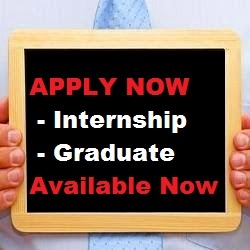 Position Graduate Internship Programme Type & Grade 18 Months Contract, (Stipend) Vacancy No 3 of 2017/18 Department & Unit Corporate Services, Organisational Development POSITION OVERVIEW The National Student Financial Aid Scheme (NSFAS) is a public entity accountable to the Department of Higher Education and Training (DHET). It provides financial assistance to eligible students at public universities and at Technical Vocational Education and Training (TVET) colleges throughout South Africa. NSFAS has started the implementation and roll – out of the Student Centred – Model at all 26 public universities and 50 TVET Colleges across the country, as part of its efforts to improve the student fundi ng experience. NSFAS’ focus over the past year has therefore been to improve the communication around the implementation of the Student – Centred Model so that the scheme can realise this objective in the 2017 academic year. Central to this are two complemen tary objectives which serve to deepen the pool of funding available for students through constantly striving to recover loans which are due, and to source more funding from potential donors so that it can assist more students comprehensively. The following vacancies exist in Cape Town. Interested applicants who mee t the requirements should send D etailed Curriculum Vitae, Copies of Academic Qualifications and names of two contactable referees to Nokulunga Mtse via email, with the subject Graduate Internship Programme to interns@nsfas.org.za. NSFAS do es not consider late applications. NSFAS only corresponds with s hortlisted c andidates. If you do not hear from NSFAS within 2 months of the closing date, please consider your application unsuccessful.